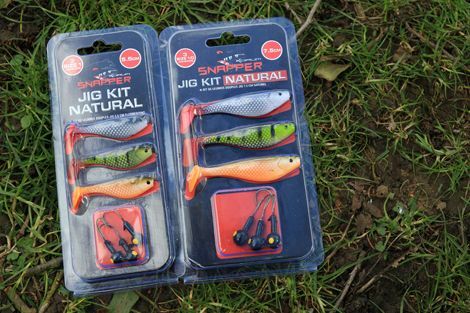 The Korum Jig Kit comes with three fast-action rubber Shads that are perfect for modern jigging techniques. We've narrowed down the confusing task of choosing lures into just three of the most effective natural colours to catch predators. Just slide one of the Jigheads into the Shads and you’re ready to fish! Available in two sizes 5.5cm and 7.5cm.